it's like a modern, live-in cubicle. which is incredible . okay this is what i've always wanted my bedroom to look like: bed, dresser, mirror, PLANTS. okay and this is what i want my house to look like: minimal, simple palettes, midtone oranges, blues, and greens. 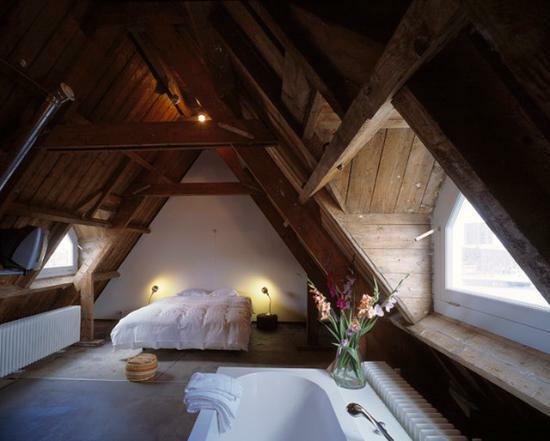 this was built in a renovated tower and is pretty much the epitome of what a hideout/hideaway is. 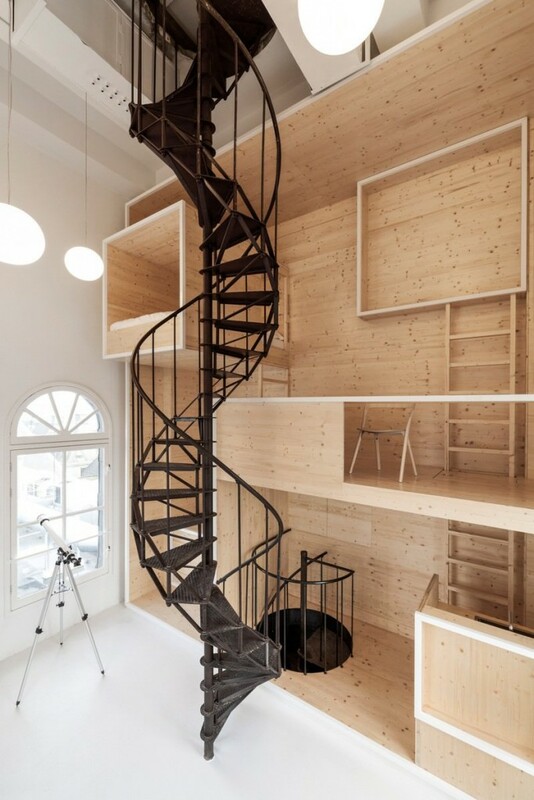 love: bareness, tall ceilings, neutrals, spiral staircase. so minimalist. ever since i was a kid, i've had this obsession with "hideaways" or secret passageways in houses or between rooms. i still have that obsession, but i've matured it a bit. in 2006, we took a vacation to amsterdam, berlin, and paris, and i remember that the most memorable part of our 2 week-long trip was this / this (we stayed there two different times). my favorite part of our entire trip was our hotel room(s). yep. that's also the only part that i remember and reminisce about now: the interior design. i cannot describe to you how much i loved those rooms. i was/am fascinated by small, modern spaces (i have a folder of pictures dedicated to the them). i'm pretty sure that everyone shares this fascination with eclectic, homey, minimalist, cozy, visually-appealing spaces, or at least i hope they do.